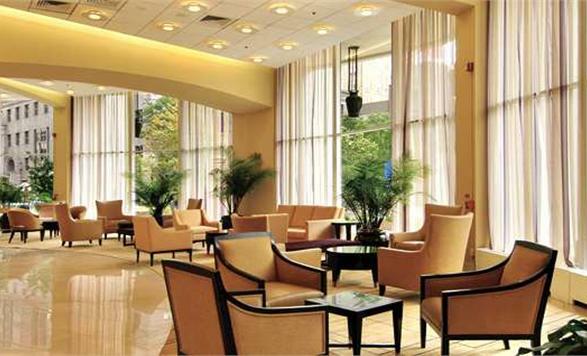 This 288-suite hotel is within walking distance of Philadelphia's most famous museums. All suites are newly renovated with a separate living room and bedroom. Amenities: data port, coffeemaker, iron/board, in-room refrigerator, microwave, wet bar, restaurant, fitness center, complimentary breakfast, on-site/valet parking. Description: No sq listed because space is unusually shaped.